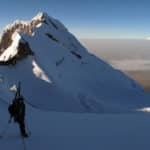 Pablo, an Ecuadorian ASEGUIM - IFMGA/UIAGM guide invites you to stand on top of the 3 highest volcanoes in the country and enjoy amazing ski descents in Cayambe, Cotopaxi and Chimborazo, the famous Ecuador's triple crown. 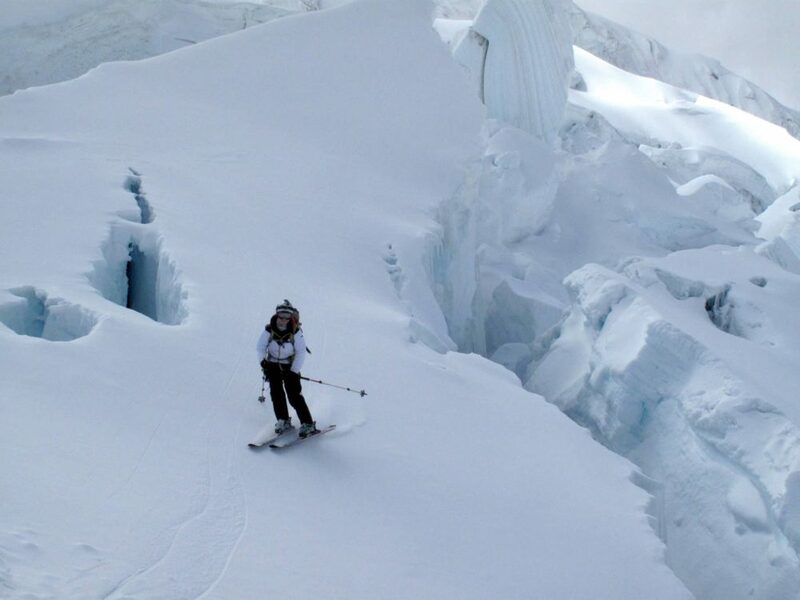 Have you ever dreamed of skiing in the Ecuador’s triple crown in a same trip? Today I invite you to make that dream come true. 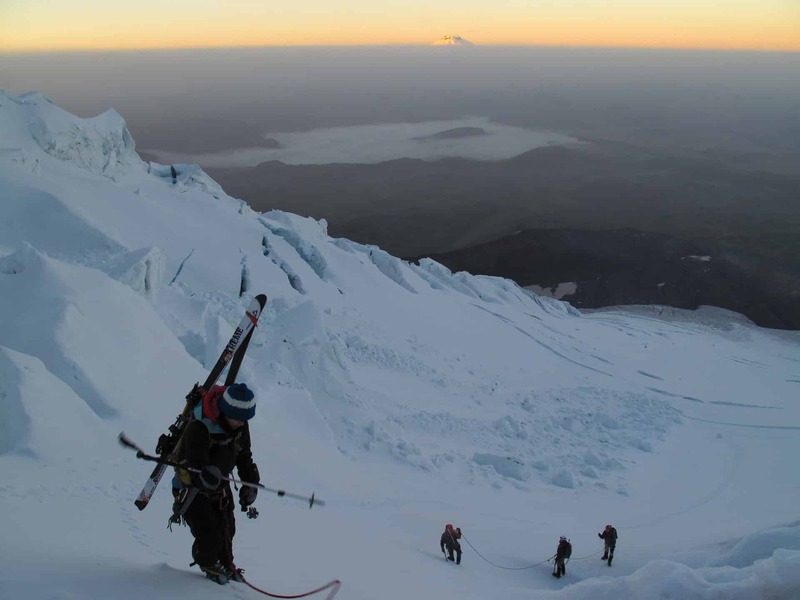 The Ecuador’s triple crown joins together the Nevado Cayambe, Cotopaxi and Chimborazo summits. They are the 3 most epic mountains of the country. 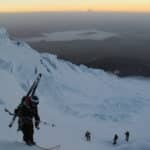 Therefore, as a guide from Ecuador I have planned a 15-day ski adventure around those giants. 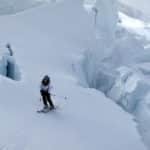 One of the highlights of the Ecuador’s triple crown is the amazing vertical drops from their summits. You have to see for yourself the variety of ski runs and stunning views the region offers. In order to make you feel physically good before starting, we’ll spend the first days acclimatizing our bodies in Fuya-Fuya and Imbabura. Besides that, we will do some hiking across the high mountain terrains of the area, getting used to the altitude. 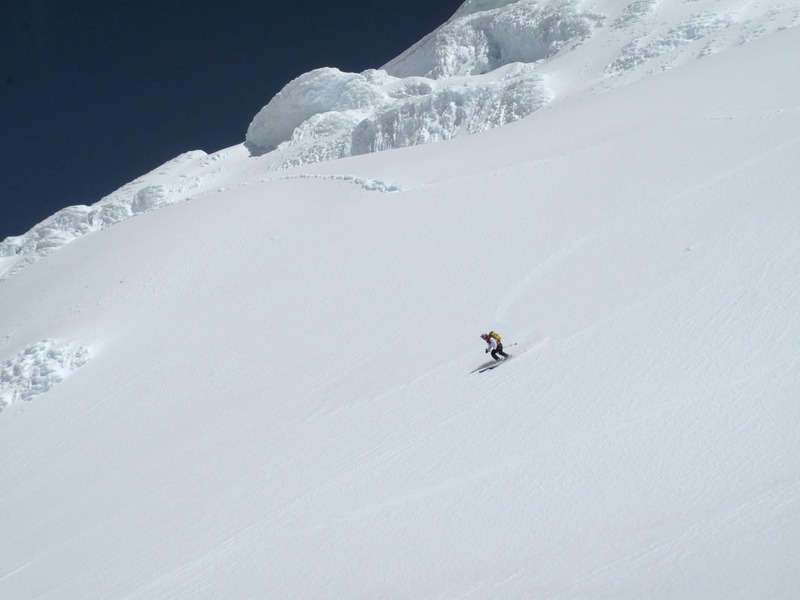 For the rest of the days we will focus on the summits and the ski descents from 6.000 meters of height! 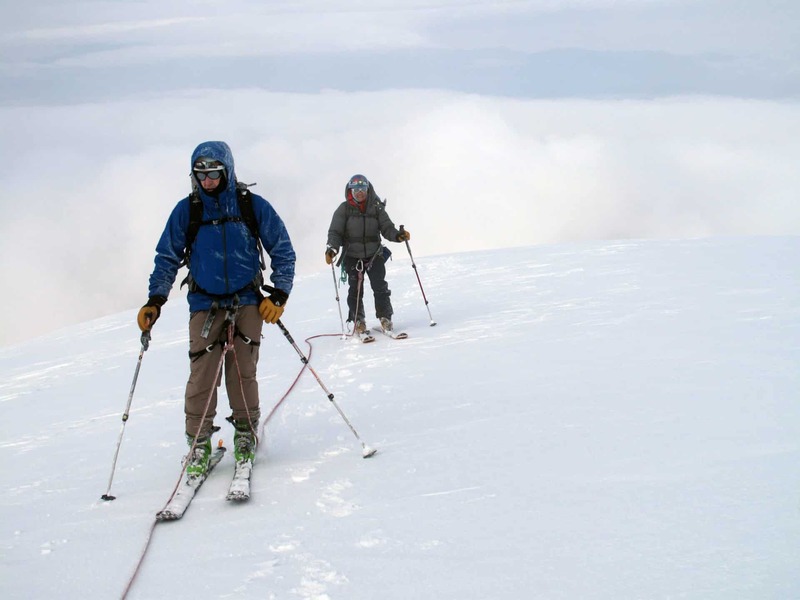 This ski mountaineering trip is suitable for advanced skiers. Although you won’t need technical skills to climb the volcanoes, you’ll have to ascend them using skins or carrying them on your back. The ideal plan is to skin as much as possible. However, there are some steep and icy slopes that won’t let us to do it. 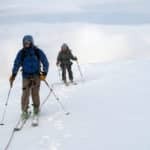 Thus, it’s mandatory to have an advanced physical fitness and a ski mountaineering background. 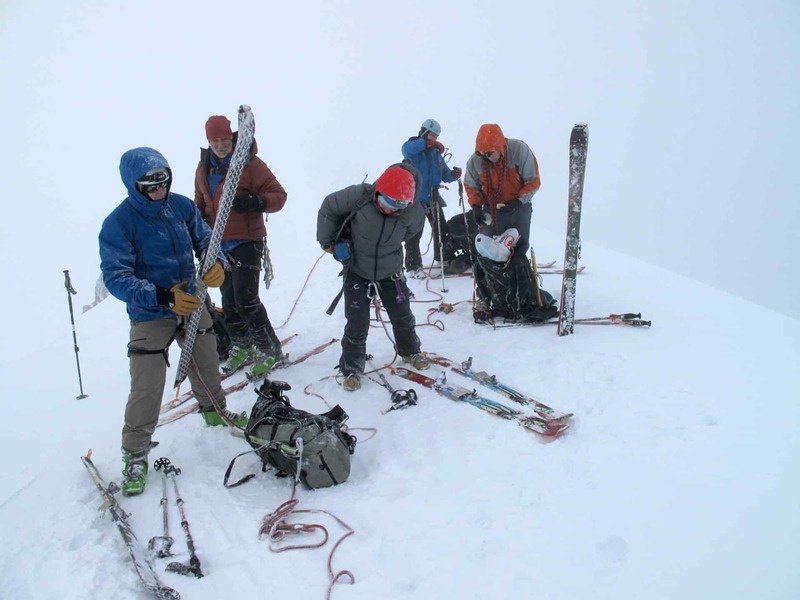 At the end of this description you will find the day-by-day itinerary of this skiing trip. Moreover, you should know that any scheduled program can suffer changes if weather or snow conditions are not the best ones. 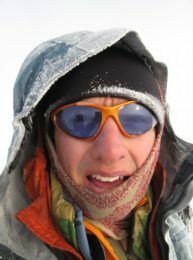 Finally, let me tell you it will be a honor for me to lead this ski mountaineering adventure. Feel free to contact me now. I can help you to plan the best trip for you in the Ecuador’s triple crown. Arrival and overnight staying in Quito (accommodation in a hotel of the city). You will enjoy a guided tour around the old town and the “Mitad del Mundo” monument. Then, you’ll sleep in a hotel there, with breakfast included. We’ll try our first climb to Fuya Fuya at 4.263 meters of height. We’ll spend the night in a hotel in Otavalo (breakfast). Another climbing day to Imbabura (4.630 m). Overnight staying in Otavalo again. We’ll explore the famous “Plaza de Ponchos” and visit the small village of Peguche. We’ll spend the night in the hotel of Otavalo (breakfast included). A big day! 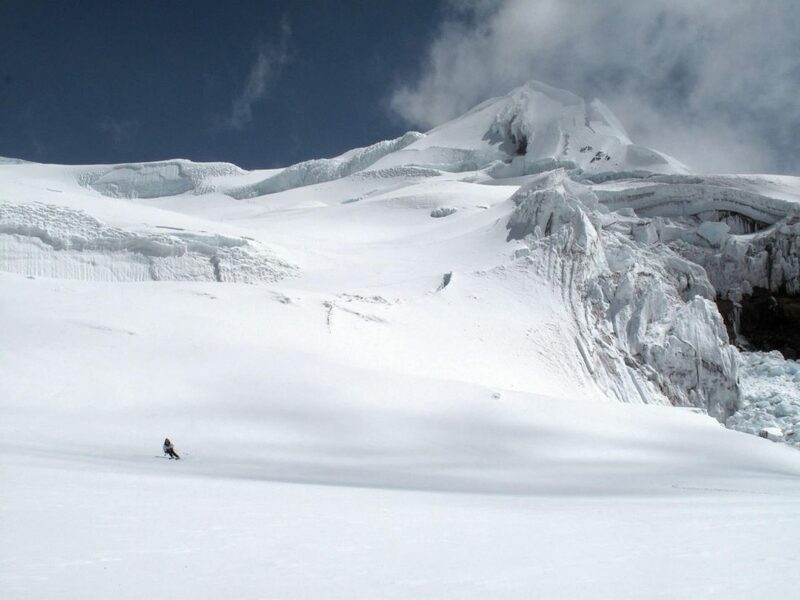 We’ll climb Cayambe at 5.790 meters high. Then, we’ll sleep in the town of Cayambe in a Hosteria (Breakfast and lunch box included). 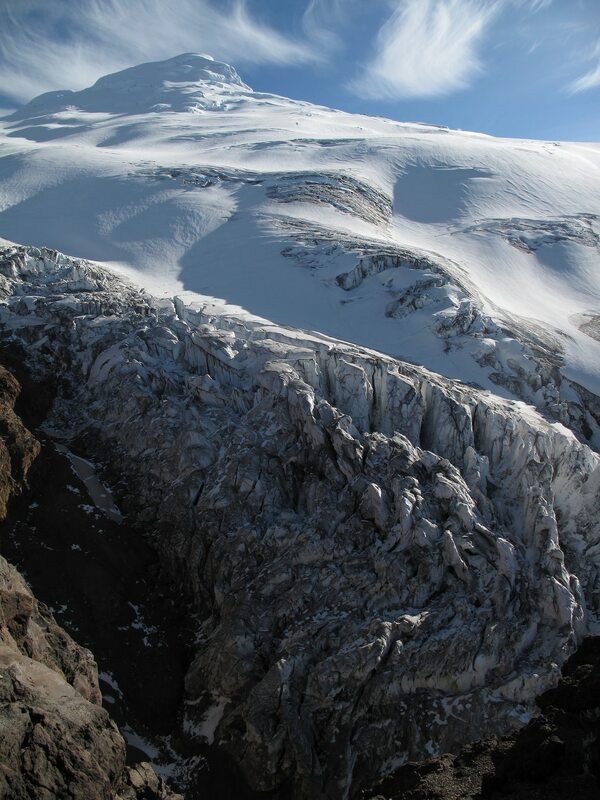 We can enjoy the nice Papallacta hot-springs or may use this day as an extra one for Cayambe summit attempt. Night in a hotel of Quito (breakfast). Transfer to Cotopaxi National Park (4.600 meters). We’ll spend the night in Jose Rivas Hut (Meals included: Breakfast, Dinner). 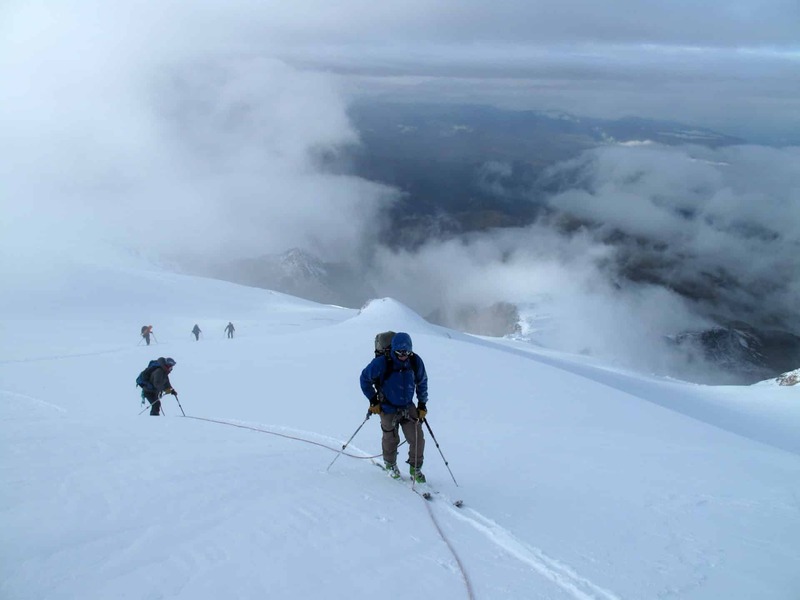 Today we are going to climb the 5897-meter Cotopaxi Volcano. Overnight staying in Baños. The hotel accommodation includes breakfast and boxed-lunch. 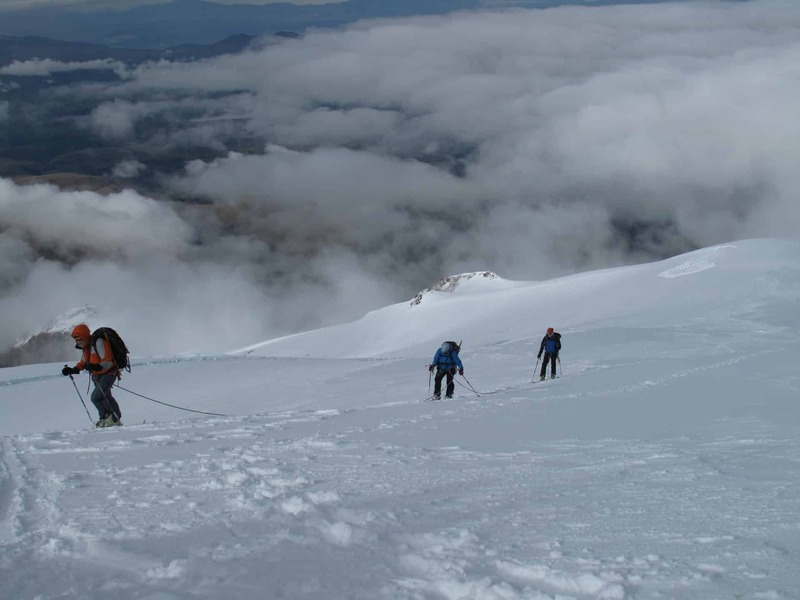 We can enjoy a resting day in Baños or use this day as an extra one to reach Cotopaxi summit. Then, we’ll spend another night in the hotel of Baños (Breakfast). 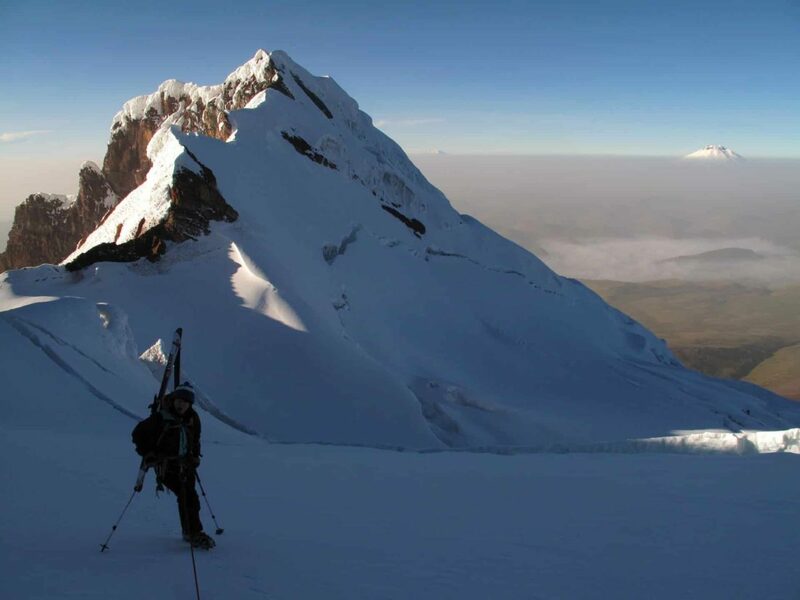 Transfer to the Wildlife Reserve of Chimborazo and overnight in Hermanos Carrel Hut (4.800 m). 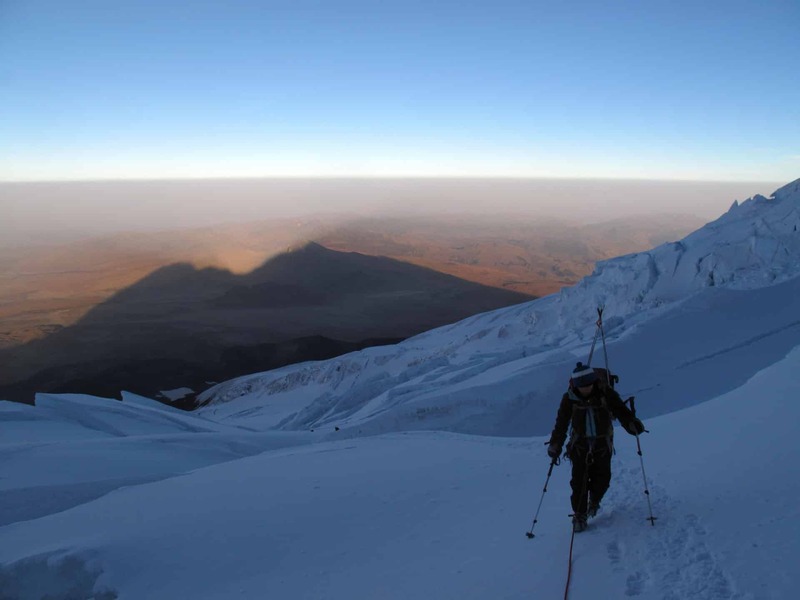 Day of climbing the 6310-meter Chimborazo summit! Then, we’ll sleep in a hotel in Riomamba with half-board meal included. We can enjoy a free or extra day in Riobamba and sleep in Quito (Hotel w/ breakfast). Time to fly back home after a last breakfast in the city of Quito.